Just 5.9 percentage points separate the top four economic sectors of the Lehigh Valley’s $40.1 billion GDP, whereas at the national level, the top four sectors are separated by 13.6 percentage points. 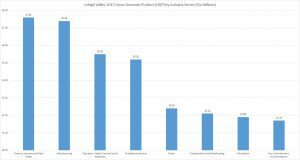 The Lehigh Valley economy is far more balanced and diversified than the national gross domestic product (GDP), according to a new analysis by the Lehigh Valley Economic Development Corporation (LVEDC). Just 5.9 percentage points separate the top four economic sectors of the Lehigh Valley’s $40.1 billion GDP, which range from Professional Services (13.1 percent of the regional GDP) to Finance, Insurance and Real Estate (19 percent). By contrast, the top four sectors of the overall United States economy are separated by 13.6 percentage points, ranging from 9.9 percent coming from Education and Health Care, to 23.5 percent coming from Finance, Insurance and Real Estate. 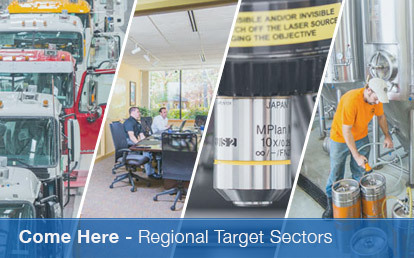 While many regions have a high GDP in one or two particular subsectors, and then a significant drop-off in the rest, the Lehigh Valley’s unusually high balance among its top industries demonstrates an extremely diverse and multi-faceted economy that does not depend on any one single sector. The Lehigh Valley GDP has reached a record-high $40.1 billion, and nearly every economic sector saw year-over-year growth. 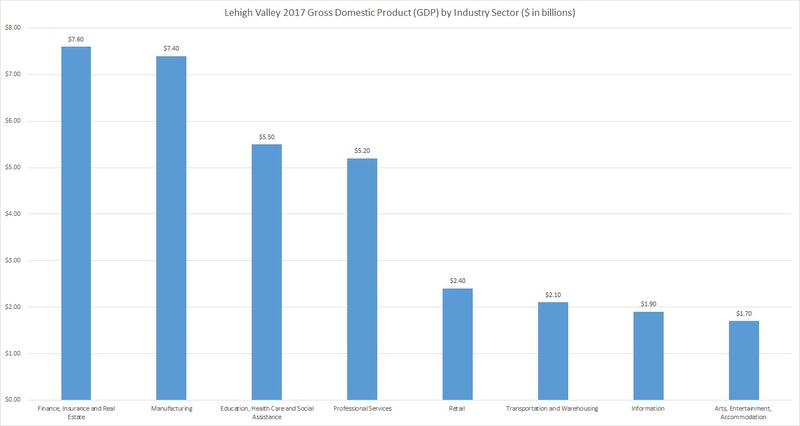 The comparison between sectors also shows that manufacturing plays a much larger role in the Lehigh Valley economy than it does in the national GDP as a whole, according to George Lewis, LVEDC Director of Research and Analysis. Manufacturing contributed $7.4 billion toward the Lehigh Valley economy in 2017, or 18.4 percent billion of the total $40.1 regional GDP. 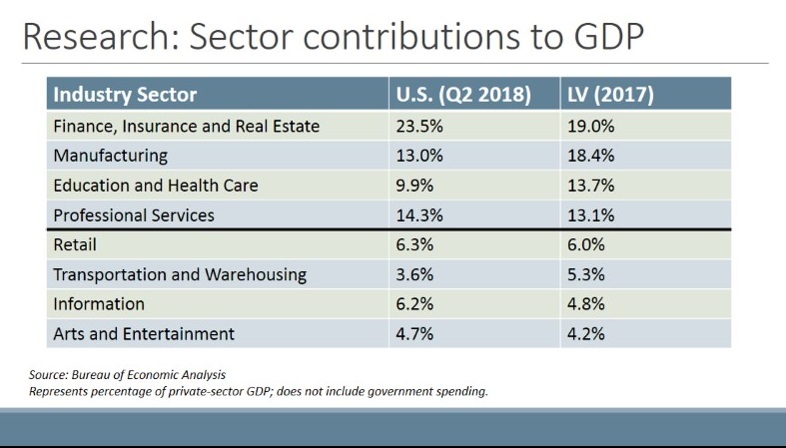 By contrast, the sector contributed only 13 percent toward the U.S. GDP as of the second quarter of 2018, Lewis said. In addition to manufacturing, the Lehigh Valley’s top economic sectors included Finance, Insurance and Real Estate ($7.6 billion), Education and Health Care ($5.5 billion), and Professional Services ($5.2 billion). These figures were based upon product data from the U.S. Department of Commerce’s Bureau of Economic Analysis (BEA) for private industry and do not include government spending, Lewis said. If it were included, the Lehigh Valley GDP would rise to $43.8 billion. The total U.S. GDP excluding government spending is $17.9 trillion, with Finance, Insurance and Real Estate making up $4.2 trillion and manufacturing contributing $2.33 trillion, according to the BEA. Gross domestic product is a measurement of a region’s economic output. The Lehigh Valley’s $40.1 billion figure accounts for private sector industry and does not include government spending. 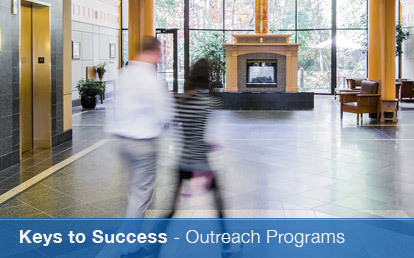 According to the BEA, 23 percent of the Lehigh Valley’s private sector GDP comes from goods production. 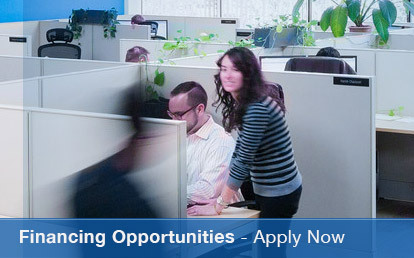 That is a slightly higher amount than in the overall U.S. economy, where the figure is 21 percent.